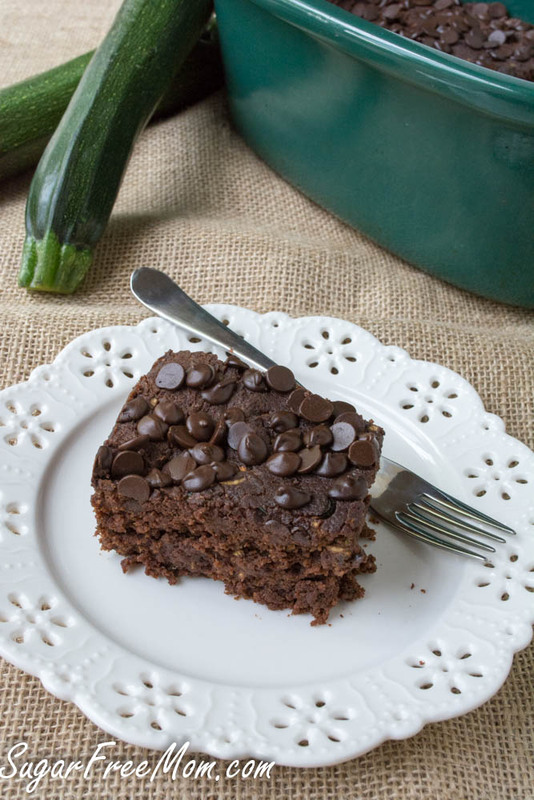 This chocolate zucchini cake would fool even pickiest hater of zucchini. They would also be shocked to discover that it’s gluten and sugar free! Zucchini might be the star ingredient used in this recipe, but don’t let that deter you from making it if you’re not a fan. 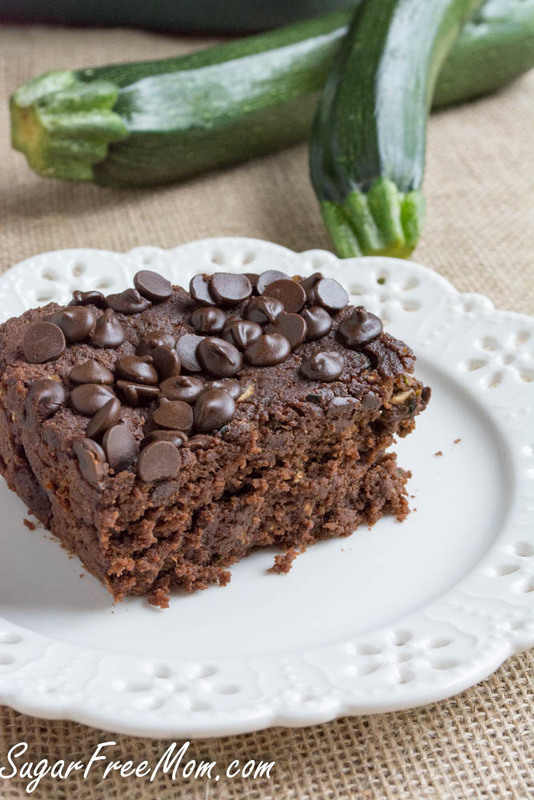 The humble zucchini is overtaken by chocolate flavor in each bite and zucchini provides a spongey fudgey texture like no other veggie will. It’s a combination that must be made to believe for all those of you who are quite skeptical. Why not use up 3 cups of zucchini when there’s such an abundance in most everyone’s garden or farmers markets? Why not sneak in a vegetable any way you can without your family even realizing it? And let’s not forget to mention who in their right mind wants to bake in the summer with the heat; not me, that’s for sure. Using my crock pot was the only way to go for this momma, but instructions are below if you don’t own a slow cooker. So recently if you follow me on Instagram you know I was in Bar Harbor, Maine for a business trip. While this post isn’t about the trip itself, it is most certainly about how I got there. Living in RI I could have driven but I have no sense of direction and most certainly would have gotten lost even with a GPS. Since the travel was compensated they arranged a plane flight from my small airport in Providence to Philly and then from Philly to Bangor. Crazy I know to have to go south to go north, but since I was not able to get myself to Boston as the hubby was also out of town, well that was what I had to do. If you know me in person you know our family is always on the go and even the children love traveling, only we usually always drive wherever we go and have an RV. As much as I love traveling I’m not too thrilled with flying. Maybe because I never really flew much as a kid or a teen or a young adult just married. And I’ve got a height issue, meaning I don’t really like to be up high…..much ever, but I love a pretty view from a distance LOL! Whenever I have flown it was with a friend when we graduated high school and with my husband for our honeymoon and a few other trips to Florida and Europe. I’ve also flown with my sister in law and a friend both times to Miami. SO yes I’ve done it, but with gripping the arm of my companion and complete panic and stress on take off and landing. Not a pretty sight. As excited as I was to attend this sponsored trip to Maine I was in complete panic mode. Worried I wouldn’t get through security or worried I would be at the wrong gate or get on the wrong plane or even worse…..having to grip the arm of a complete stranger in total embarrassment. On the morning of the trip it was thundering, pouring rain and a possible tornado was headed our way. Perfect, just perfect, I thought, this is quite the test. The first plane to Philly was delayed about a half an hour due to the weather. The plane was not full so surprisingly I had no one sitting beside me. I gripped the arm of the chair, prayed and it was quite the bumpy ride, but thankfully less than 2 hours. I then had a few hours in the airport before the next flight to Banghor. My time to recover from the first flight and prepare for the next. I think knowing it was only going to be an hour and a half comforted me. It was uneventful, pretty smooth and to my joy went by fast while I read a book. On the return flights home something amazing happened. Well for one, the weather was sunny and beautiful, no rain or storms in the forecast and two, I was missing my family and couldn’t wait to see them. But it wasn’t just about the weather or the happiness of going home, something in me changed. Instead of complete panic, there was peace. I couldn’t believe I was actually excited to hop on a plane and take off! The take off was amazing and I actually snapped away with my iPhone and I wasn’t gripping the arm of a complete stranger! My guess about this change in me with flying is that when you no longer have the crutch or safety of someone you are comfortable with and have to actually rely on your own strength and prayer in my case, that’s when you grow as a person. You realize you are stronger than you think and you gain a confidence in the area of what you thought was complete weakness. It’s an incredible feeling to overcome a fear. Flying alone was the best thing I could have ever done and I look forward to traveling happily by plane in the future. Maybe you have overcome a fear as well, I’d love to hear about it. 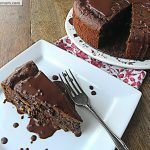 Maybe just trying new foods like this recipe with zucchini in chocolate cake is a challenge for you. I do know that allowing yourself to leave your comfort zone is scary, but worth it because that is where you learn things about yourself you never would have known. You can take on anything with the right attitude don’t you think? Sharing how my family reacts to my different recipes is always fun and I share without hesitation because whether you like this recipe or not, being honest is the only way I work. Picky teen loved it and had no idea zucchini was in there until his sister told him so and even then he ate another piece. Although tween sister saw the zucchini while I was taking pictures she thankfully didn’t tell the boys before they tried a piece and she herself loved it. Little man wanted two pieces so I’m pretty confident it won him over as well. Now picky hubby hadn’t tried it as he came home from work that day and was hustling around for a committee meeting at our home with about 12 men from scouting. Since they were all coming over I decided to test out this recipe on unsuspecting middle aged white flour, white sugar loving men. 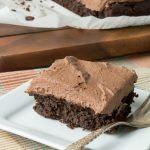 My hubby told me he did share it was chocolate zucchini cake but not that it was sugar free or gluten free. The zucchini mention didn’t discourage any of them or my man and when I returned home later to clean up the plate, only about 3 pieces were left. I’d say that was successful don’t you? You could certainly reduce the size of these to 16 pieces but they will be smaller and you may want to eat two. I kept them a reasonable size at 12 servings. I used Bob’s Red Mill Gluten free flour that contained xanthan gum. If the gluten free flour you use does not contain xanthan gum, I would suggest adding a 1/2 teaspoon. 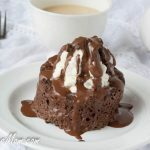 If you don’t have gluten allergies you could also make this with whole wheat flour. If you don’t have erythritol you could replace it with a half cup honey. You might also be able to replace the erythritol with unsweetened applesauce, although I have not tested that substitution out yet so I am not sure the texture would be the same. While these cake is sugar-free it is now low carb so this wouldn’t be a good choice for a diabetic. You could make this in the oven instead of the crock pot. Preheat to 350 degrees and spread batter into a 9 by 13 greased baking dish. Bake 30 minutes or until a toothpick in center comes out clean. Sift together the first 6 ingredients in a bowl. In a stand mixer, add the butter, coconut oil, eggs, vanilla extract, stevia and yogurt and blend until well combined. 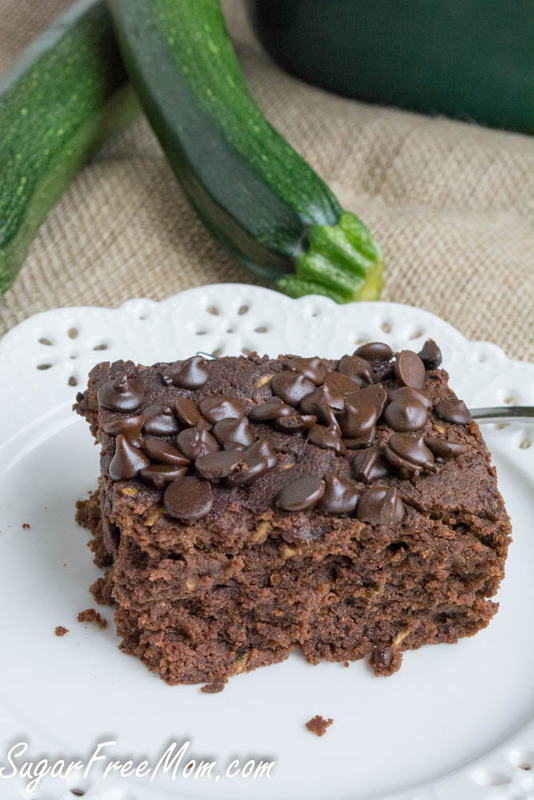 Skip this step if you don't mind seeing pieces of zucchini in the cake.Place the shredded zucchini into blender and blend until smooth like a thick soup. While the mixer is on low gradually pour the zucchini into the egg mixture until incorporated. Keep the mixer on low and in two batches slowly pour in the flour mixture. It will be very thick so you may need to stop and scrap down the sides of the mixer bowl to continue to incorporate flour. Grease the bottom and sides of a crock pot with coconut oil, butter or nonstick cooking spray. Spread the batter into the crock pot and level off the top with a wet spatula. 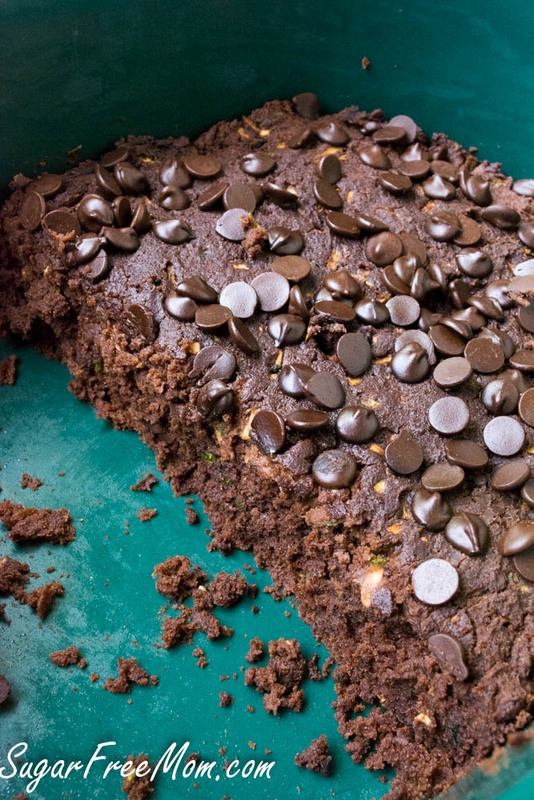 If you are using the optional chocolate or carob chips, sprinkle those onto the top now. Cover and cook on low 4-5 hours or until a toothpick in center comes out clean. Uncover, turn off and allow to cool in the crock pot for 30 minutes before slicing and serving. Loosen around the edges of the cake before slicing. This looks incredible Brenda! Traveling is never easy but it looked like you had a wonderful trip! I can’t wait to make this! Let’s here it for a positive attitude helping you conquer your fear of flying. I wonder if the same would help with my fear of spiders? If it doesn’t work, at least I could help myself feel better with a slab of this cake! I’ve never met a chocolate cake I didn’t like. I’ll take two slices of this one! There’s no way this is low sugar. oMG. that cake looks DIVINE! I love the “hidden” zucchini!! My kinda of cake! 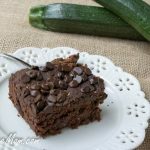 This chocolate zucchini cake looks right up my alley! I’ll definitely have to try this one! 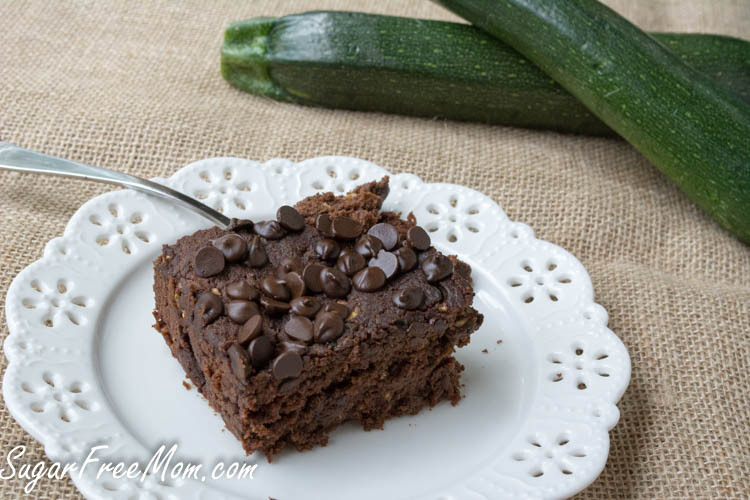 Holy honey smacks – This chocolate zucchini cake looks sooooo moist! I’m melting in a puddle here. LOVE! Cake in a crock pot? Now there’s a recipe I didn’t know you could do! 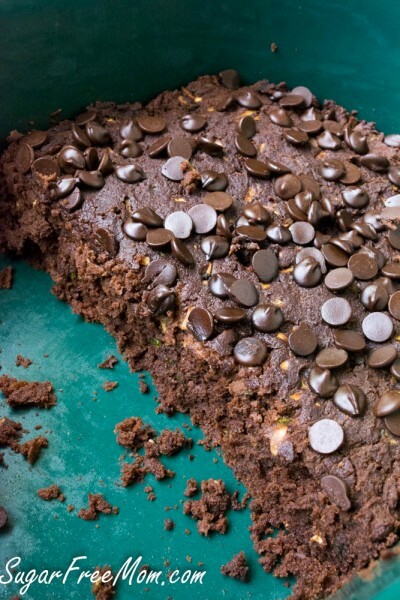 Love chocolate zucchini cake. You were in my neck of the woods! (I live in Maine.) This sounds incredible I love how zucchini adds moistness to a recipe. This looks amazing! I’ve tried two slow cooker cakes and both times the edges have burned when I cook it long enough for the center to be finished. Seems you’ve mastered this and I will have to try the recipe! 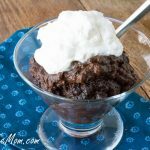 Mind blown that you can make a cake in a crock pot! It looks delicious! What can I substitute for Erythirol? Under the notes I made some suggestions. 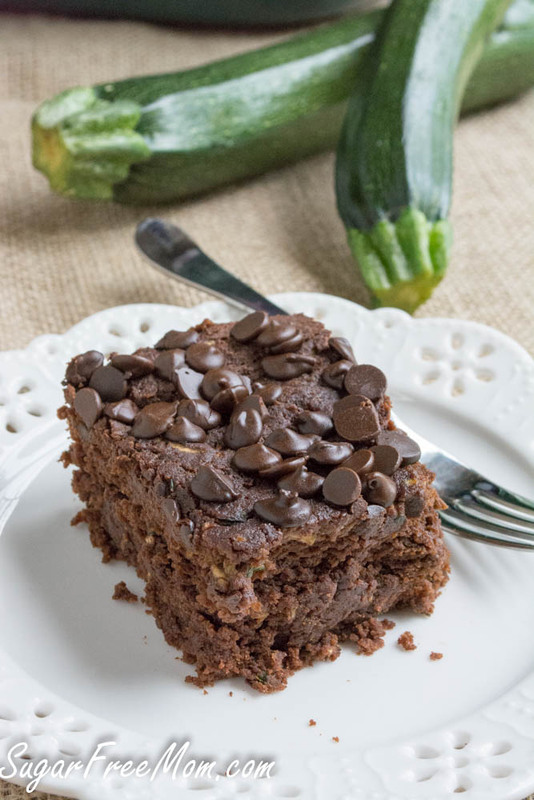 I love that you put the zucchini in the chocolate cake. AND that is is done in a slow cooker. 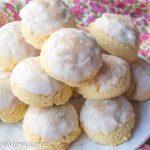 You are awesome for this recipe! Sounds amazing! 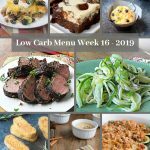 Do you think this would work with ground flax and almond or coconut flour make it low carb? Mayne add liquid if I use coconut flour? More coconut oil? More yogurt? Because my youngest has a tree nut allergy I can not use almond flour and coconut flour is difficult to work with as you would need a bunch of eggs to get the right consistency. 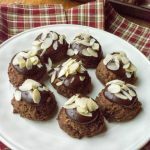 I think you could certainly play around with the almond flour and flax with better results than with coconut flour. 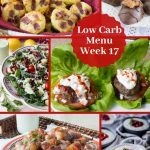 You stae this abovein your blog, but the recipe is not low carb. Gluten free store bought flour is not low carb. 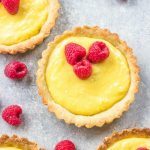 Do yo have any low carb flour substitution and amounts that would work in this recipe? Ty! I’ve not adapted it any other way then what I’ve shared here thus far. I made this cake today and it is so good! I just baked it in the oven and served with real whipped cream sweetened with a little bit of honey. I love the way it rose and looked like a “regular” cake. Thank you for sharing Twila, I love when people come back to tell me how it worked out! I baked this cake today in the oven with whole wheat pastry flour n honey instead of erythritol. It came out nice and moist. I will definitely make it again! Thank you for sharing. this looks soooo good 🙂 can’t wait to bake it! what can you replace the greek yogurt with as my little boy can’t tolerate any dairy? I think you could replace it with unsweetened applesauce or even mashed ripe avocado. I made them as cupcakes with walnuts and vanilla cream. Lovely! Thanks! 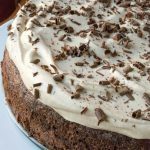 Is there a substitute for the chocolate stevia? I am just starting to go sugar free and the one linked has been discontinued. Do you have a version of this that would be low carb? These look quite yummy !! I haven’t yet adapted this recipe for low carb but am thinking almond flour would be a good job for the gluten free flour. It’s an oval 6 quart. Brenda, I can’t eat butter or yogurt. What can I sub these with?